Ladies and gentlemen new tweaks have been released in everyone’s favorite source of awesome things commonly known as Cydia and they are now available for download. To make it easier for your to learn about them we have created this roundup that features all these hacks. Read on to learn about CCSwipe, Fuse, HiddenConvos Pro and iSwitch and how you can download on them on your device. If you use the popular Auxo tweak on your jailbroken device solely due to its awesome swipe up gestures than we have got a great news for you. The new CCSwipe tweak brings the same gesture to the stock Control Center, enabling users to return to the homescreen, access the app switcher as well as get to the Control Center by changing the position of the swipe up gesture. The tweak comes with customization options that make it possible for users to configure the gestures according to their personal preferences. 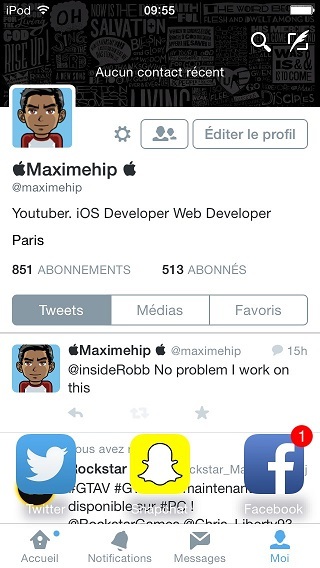 CCSwipe is a free tweak. Fuse is a beautiful tweak for the lockscreen that shows both the music controls and clock on the iPhone lockscreen at the same time. Normally when the music controls appear the clock is hidden on iOS devices, which changes as soon as you download the Fuse tweak. It supports both iOS 8 and iOS 7 and is available in Cydia for free. HiddenConvos Pro tweak is an advanced version of HiddenConvos tweak that allows users to hide certain conversations from the Messages app and access them by performing a secret gesture. 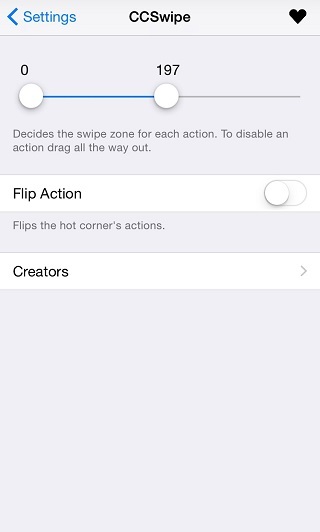 To hide a conversation simply perform a gesture on it, which can be changed from tweak’s preferences. Preferences page of this tweak can be found within the Messages application and can be protected with a password and Touch ID. 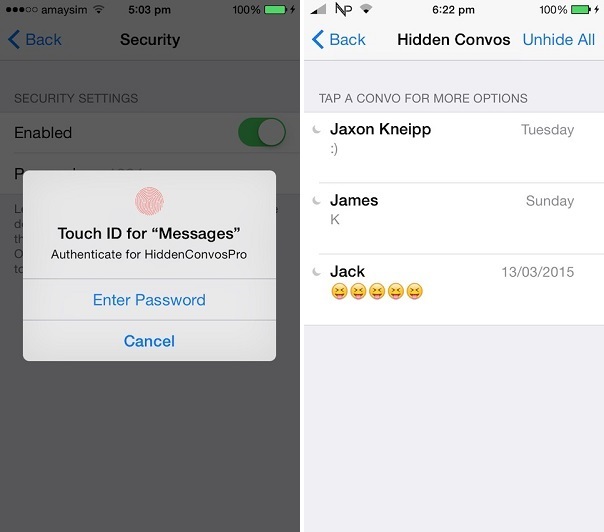 HiddenConvos Pro gives more privacy to the user and is a must have for people who want to make their iMessage conversations secure. HiddenConvos is available in Cydia for $1.50. iSwitch tweak gives iOS app switcher a fresh look by removing the preview cards and letting the current app stay in the background. As seen in the screenshot above the app user is currently using stays in the background while the app switcher icons hover over it, users can normally swipe to find the app they want to switch to and tap on it. iSwitch is definitely a fun tweak that gives a different look to the multiasking screen. There’s one drawback to this tweak though, which is you cannot kill apps from it. To do so, you have to access the app switcher from the homescreen. iSwtich is available in Cydia’s BigBoss repo for free.